When I returned to Carlisle, I went along to a few networking events to see what opportunities and other businesses were about the area. 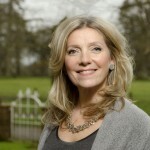 During a May fifteen networking event, Jenny Banks introduced me to Louise Crouch a photographer specialising in portraits. After working with Louise on a few test shoots I began to understand how Louise works and very much like myself and have a real passion for her work. I feel her images are unique yet classic. She puts the time in to understand her client and the characters and personalities reflect within her work and her clients are left feeling empowered and proud. Louise booked me for majority of Boudoir shoots, where we built up a strong working relationship. As a Hair and Make Up Artist I would say that my job is an essential part of a shoot and often overlooked in may low budget jobs. However my-self and Louise work very well together with our relaxed and creative approach to build a trust with each other and the Client. Last year Louise and her Husband Peter Crouch opened a studio in Carlisle on Fisher Street. The studio is warm and welcoming, beautiful and adaptable interior. Every Client and I love working there as you always feel at home. 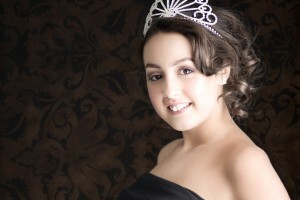 The latest project Louise has been working on has been Miss Cumbria 2012. Pete and Louise were approached my Mark Jones the event organiser and were asked to video the event and contribute photography prizes where Louise put together a offer especially for the event. 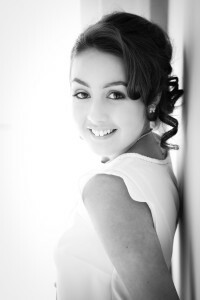 The Girls prize was a make-over photo shoot, where they would book into a two hour time slot with me and Louise to get some beautiful professional images of them selves. This studio work was slightly different to Louise’s love of outdoors, old dishevelled buildings, props and her love of textures and fabrics. So I was surprised when Louise approached me with the idea. However, the results from these images show’s Louise’s skill in directing and working with her Client. These images are clean simple and stunning! With my background working with modelling agencies and life style shoots I knew what hair styles and make up techniques worked best on camera. Special occasion make up and cat walk can be very different in terms of texture. Shine can look beautiful on the cat walk and a glow during a wedding but isn’t suitable for head shots or lifestyle shoots. Soft curls or a bouncy blow dry within the hair is a classic look for boudoir and lifestyle but can be adapted to suit majority. Modern, yet classic and hair can be played with during the shoot without looking rough. A light back comb if needed, waves and body with only a touch of hair spray is often all a hair style needs, or simply just a soft blow-dry. Movement is beautiful and shows character and personality in photos. With the Miss Cumbria girls I updated some of the hair into more current styles like waves rather than curls with the hair. When it comes to photographing head shots and private clients its important to enhance and work with the clients natural style and taste rather than create an art piece on them. That’s what I do for Fashion shoots where models are booked as a blank canvas. Louise lets me look though the girls clothes and after a silly chat about where they got them all from, I know what colours and looks will go well. With portraits I like to make sure I concentrate on structure and definition rather than splash colour on. Colour can always be added later. Georgina came to the studio relaxed calm and the first thing I noticed was her beautiful long hair and her large eyes and big smile! Georgina said she often wears a strong colour on her lips, but was happy to allow me to do what ever I liked! She had some really different styling outfits including a leopard print cat suit which I loved. Me being me, took the risk and gave Gerogina a slightly different look to what she is used to. I just wanted to define her eyes. I kept the colours on the eyes quite natural but defined to complement all outfits. I wanted to add movement and bounce to her hair but keep it young and fresh with a middle parting winged and pinned back loosely. I used GHD’s for most of the curls but large tongs around the face to create a modern wave. Alex was an absolute pleasure to work with. I could see she was just enjoying evey minute of the experience. We had such a giggle getting her ready. I could see she was taking everything I was doing in! I enjoyed applying her make up as she could take a lot of warm colours with her dark hair and dark eyes! I used a mixture of taupes , purples and a flash of pink. I curled her hair softly and pinned it back with loose curls framing her face. With Alex being a junior it was important to not to put her into a old hair style but to keep the hair and makeup suitable for her. Alice was beautiful with -out make up arrived with her cousin for support, which I thought was lovely. Alice was polite and warm natured and once again allowed me to do whatever I fancied. However she did say she likes eyeliner so I played on a good lined eye inside and outside the eye. Her skin was kept fresh as her beautiful warm skin tone was a shame to cover up. Most of your know from previous articles I don’t like to cover skin that doesn’t need to be covered. Alice kept saying her hair didn’t look right down so I decided to go for a messy textured ponytail with lift at the crown but a middle parting around the face. Modern, chic and flattering style. I’m sure you can all agree that Alice looks like she has been cut out of a life style shoot or fashion catalogue in her images. Very professional. Have a look at some of Louise’s Work on her Blog and you can see some of her beautiful work and some of the images we have worked on together.